Bodies are strong, lightweight polyethylene—won’t dent, corrode, or absorb moisture. 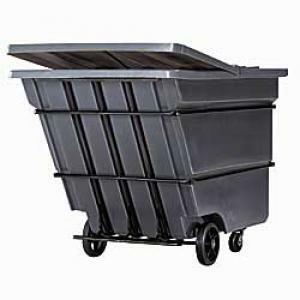 Designed for in-plant conveying and dumping of bulk materials, BAYHEAD Haul-All Tilt Trucks allow one person to easily dump the contents. Heavy duty, grease-proof neoprene front tires. Conforms to OSHA spec. 1910.141 when used with optional hinged lids.